Mechanical device designed to hold an MFC9046 or MFC3048 NMRNuclear Magnetic Resonance. 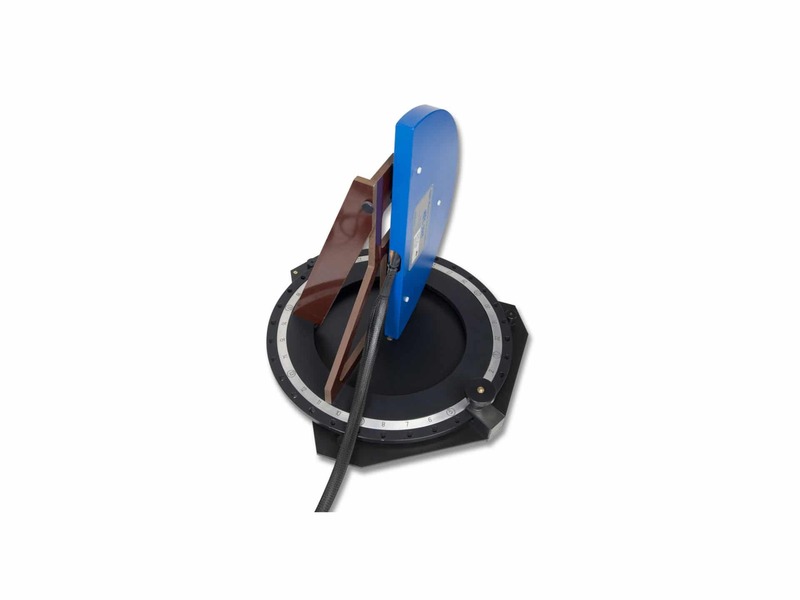 A resonance phenomenon seen when you irradiate a sample in a magnetic field with an RF field.... Probe ArrayFor Metrolab's Magnetic Field Camera, the probe array is a semi-circular plate holding up to 32 NMR probes...., and to rotate it inside the magnetic field. Selection of angular increments of 12°, 24°, 36°, 16° or 32°. Can be adapted to most open magnets.